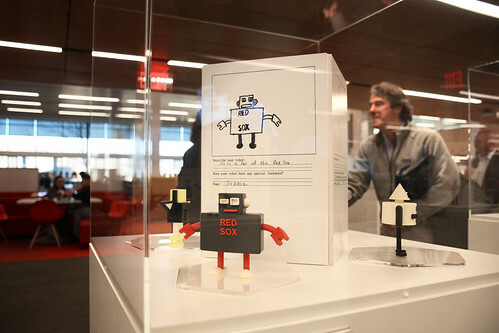 In an atypical educational partnership, a group of Wentworth Institute of Technology students worked with local school kids and Boston Children’s Museum to bring the youngsters’ drawings of robots to life. 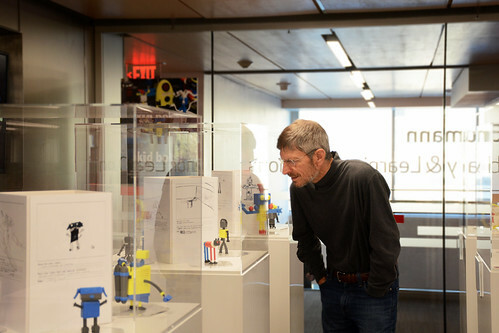 The result—colorful, 3D figurines of the kids’ imaginings about robots—can be found in a new “Kid Bot” exhibit opening on Jan. 16 in the Guarracino Family Gallery in Wentworth’s Douglas D. Schumann Library & Learning Commons. They settled on robots, and the special collaboration between the institutions began several years ago. Both sides have benefited from the project, described as an effort to highlight the creative ideas of the very young and the interpretive and technical skills of Wentworth students. The endeavor allowed the undergraduates to use skills learned in the classroom to bring ideas to life. 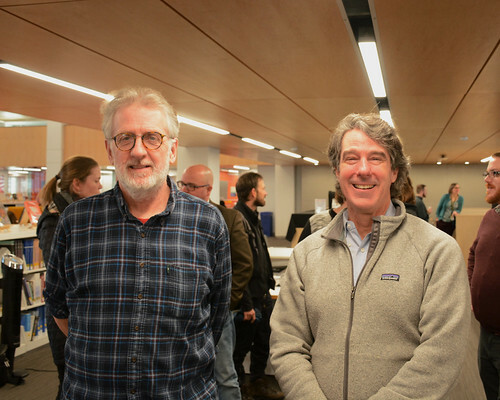 The show highlights the university’s commitment to its EPIC learning model (Externally Collaborative, Project-Based, Interdisciplinary Culture). Williamson’s CAD modeling class of Industrial Design students gave kids at the museum a worksheet upon which to draw a robot and emphasize a few characteristics. 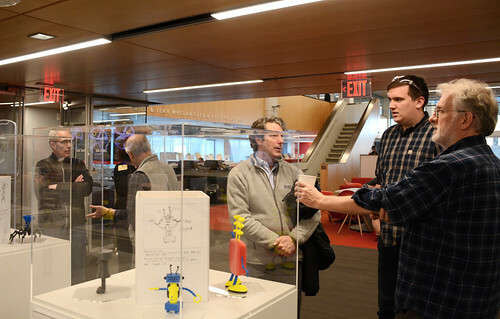 The Wentworth students brought the drawings back to the labs on campus and applied their design-build skills to make the robots. 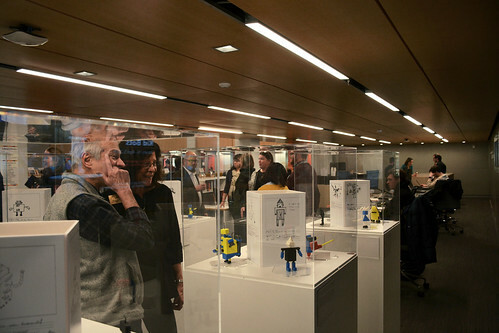 The Wentworth labs provided the students with the equipment and materials to interpret the kids’ drawings, model a prototype and render the robots using the university’s 3D printers. 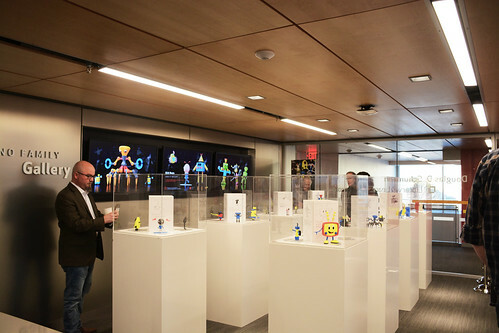 The undergraduates produced 40 plastic, colorful robots. The creation process is captured in printed posters, mounted original drawings and photographs. The free exhibit runs through April 5, with an opening reception from 3:00 to 4:30 p.m. on Jan. 16. More information can be found at the Schumann Library website.